Reagan Arthur Books, 9780316129312, 464pp. From a writer and producer of HBO's acclaimed apocalyptic drama series The Leftovers, comes a compelling story of young love and old secrets. Ben Hanson's aimless life has bottomed out after a series of bad decisions, but an unexpected offer from his father draws him home to Wisconsin. There, he finds his family fractured, still reeling from his cousin's mysterious death a decade earlier. Lauren Sheehan abandoned her career in medicine after a series of violent events abroad. Now she's back in the safest place she knows -- the same small Wisconsin town where she and Ben grew up -- hiding from a world that has only brought her heartache. As Lauren cautiously expands her horizons and Ben tries to unravel his family's dark secrets, their paths intersect. Could each be exactly what the other needs? 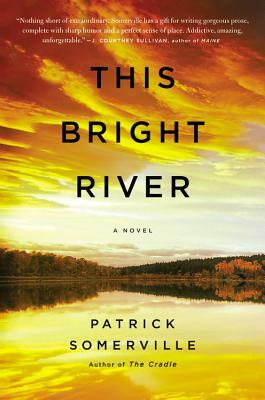 A compelling family drama and a surprising love story, This Bright River is the work of a natural storyteller, one whose dark humor and piercing intelligence provide constant, lasting delights.